We’ve had the best day of the year so far today. You too? Sunshine! Temperatures over 20 degrees! I wore (long) shorts for the first time and swapped my woolly hat for a jaunty cap. Finally, finally, it feels like spring. So, I thought I’d better do a bit of gardening. Our garden is compact and bijou and in the words of my dear mother, ‘it probably used to be a lovely garden’ (before we got our hands on it – or not – because sadly, gardening tends to fall to the bottom of our ‘to do’ list). As I set out to do some weeding and general ‘tidying up’ today, for the first time since last autumn, it occurred to me that starting to garden again, after a long cold winter, is a bit like starting to write again, after a break. We’ve all done it. You go on holiday, or move house or life just gets busy and suddenly, you’re not writing any more. And then you can start to lose confidence (‘Can I still do it?’) and it gets harder and harder to make that first step. 1. Get the right equipment. As I knew I was going to be dealing with nettles, brambles and spiky thistles (yes, it’s a jungle out there), I armed myself with two pairs of thick gardening gloves, so there was no excuse for wimping out. For writing, you need different tools, obviously: a shiny new notebook and pen(s), at the very least. 2. Set a timer. If you’re feeling ‘resistance’, as I certainly was today (I actually had a ‘gremlin’ in my head, telling me perhaps I should leave the nettles alone because butterflies might be laying their eggs in them…), telling yourself you’re only going to garden – or write – for x number of minutes, makes the whole thing less daunting. I set the timer for an hour but if you’ve had a long break from writing, that’s probably too much. Try ten or fifteen minutes instead. 3.Have an incentive. I promised myself a ginger biscuit and a cup of tea, sitting in the sunshine, once the timer beeped and my hour was up. If food and drink doesn’t incentivise you in the same way, then you could reward yourself with ten minutes on Facebook or an episode of Corrie. Whatever floats your boat. 4. Be gentle with yourself. 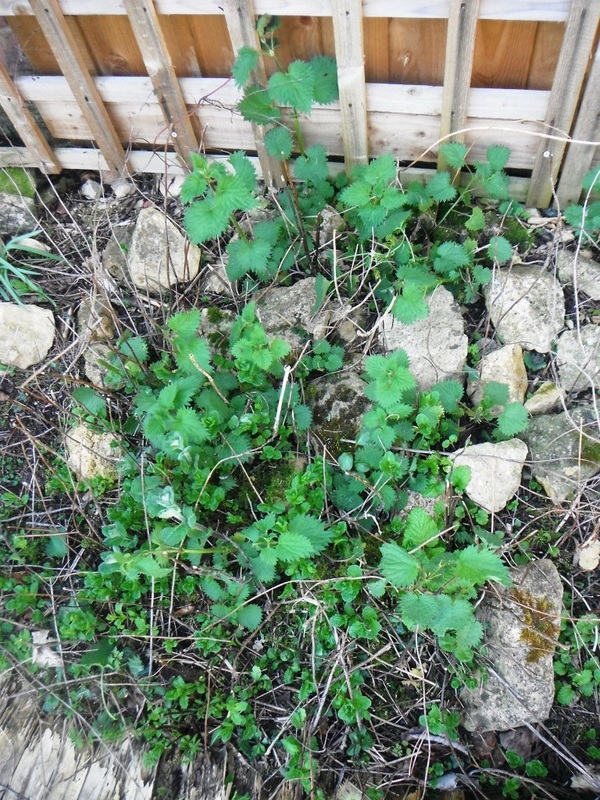 I ‘allowed’ myself to roam around the garden, doing whatever bits I liked best (pulling swathes of ivy off the wall was very satisfying, as was digging out thistles by the root). Forcing myself to clear a whole border (backbreaking! boring!) would just have put me off the whole gardening lark. I will of course, have to do that eventually, but not yet. In the same way, if your first foray into writing for a while means you ‘just’ write stream-of-consciousness (Morning Pages or a diary/journal entry) for ten minutes, then so be it. Don’t beat yourself up because you haven’t fleshed out a whole short story or thought of the plot for a novel. Give it time. Just write something. Anything. Use a prompt from Judy Reeves’ book or Paula Williams’ blog. Don’t stress. You’re just warming up. 5. As soon as the timer rings, you can stop, of course but you may find you’ve got into the groove and you want to continue to write. 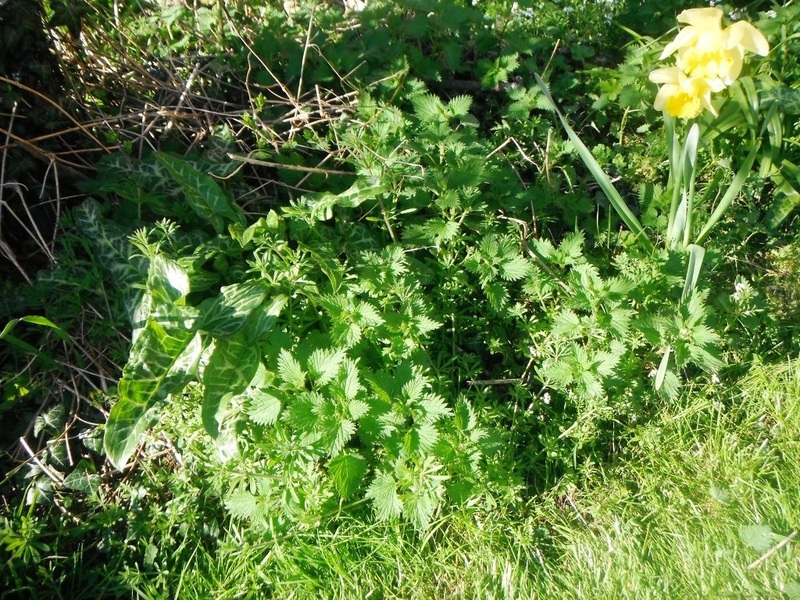 When my hour of gardening was up, I carried on pulling up a few more nettles because – get this – I was enjoying myself and that’s the border I’m going to return to tomorrow, or the next time I garden. Have an idea of what you’re going to do ‘next time’, so that you don’t start your next writing session with a blank page and a blank mind. 6. Make it a habit. Obviously, one hour of gardening is not going to do an awful lot, on its own. I need to be doing an hour a few times a week. Whatever time you’ve decided you can manage to devote to writing, needs to become part of your routine. Think about your average day – or week. When do you have the most time and energy for writing? I had some writing coaching at the start of last year and as part of that, I committed to write for 15 minutes, every morning, before I did anything else. I had the pad and pen by the side of the bed and I did the writing sitting up in bed. It became a habit, it wasn’t particularly arduous but those 15 minutes all added up and became the basis of the 71k novel draft that I finished in March. Small and often can and does grow into something bigger. It’s easy to think if you don’t have lots of time available, then it’s not worth starting but you don’t have to write for hours every day. You just need to get into the habit of writing often, for as long as you are able. 10 or 15 minutes (often!) is fine. 7. Deadlines. Thinking more long term, deadlines are good. Your deadline might be a writing competition that you want to enter, or a critique that you’ve got to submit by a certain date, or class ‘homework’ that you need to finish in order to get some feedback. My gardening deadline is 16th May, when I’m hosting the meeting of the poetry group I belong to. Most of the other members are keen gardeners and although I don’t expect we’ll be sitting outside, they will see the garden and I want it to look, well, presentable, at least and not full of weeds. So that’s my gardening deadline and my incentive. Of course, gardening is a great way to relax your mind and get ideas for writing. While I was gardening today, I thought of this blog post. I’m afraid it doesn’t work the other way around though. While you’re writing, your lawn won’t magically mow itself…! 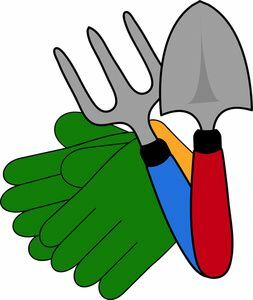 This entry was posted in Finding Time To Write, Ideas and tagged gardening. Bookmark the permalink. These are great tips, thanks. I dug up 120 dandelions the past 3 days. I see through the window at least 12 more that cropped up overnight. Sigh. Persistent little buggers. Some excellent suggestions here, which I will endeavour to put into practice! Thank you, Georgie! (at least, on a boat, you don’t have any gardening to do! Most of our gardening energy is expended at the allotment, so our patch at home has to fend for itself. I call it easy care, but only because it has to be. At the moment it is mostly blue, thanks to the sea of self-setting forget-me-nots. Unfortunately, my writing takes a little more discipline. It has been a lovely day. I’ve been gardenng too – for me it’s a pasion (and it inspires a lot of my writing). I know you are a passionate gardener, Patsy. You put me to shame!